Tension Relief Sewing provides a wide variety of services ranging from service and repair of your machine, to sales of brand new machines and accessories. Here are just a few of our services below. Have an old machine you want to trade -in for an upgraded model? Bring it in and get a trade-in credit towards your purchase! We provide free lessons with the purchase of a new machine. You can also pay for lessons on existing machines. We perform machine service and repair on most makes and models. Can we help you? Just call and ask! Tension Relief Sewing is an authorized dealer for Baby Lock and Janome. We sell a wide range of products from different manufacturers. See what just a couple of our clients have to say about us! My best friend has bought three sewing machines and I’ve bought two from Tension Relief and Sew. I really shopped around and found the best machines at the best price here. I am very pleased with the service of my machine as well. I recommend this shop to everyone. 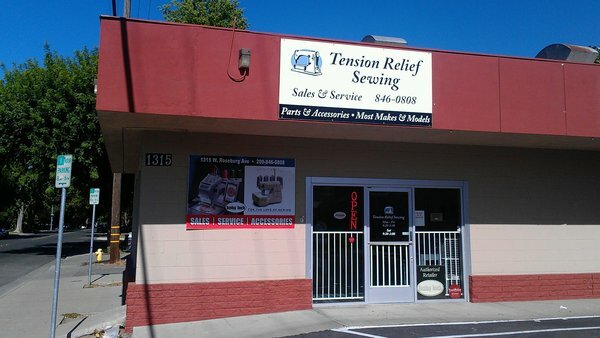 Manuel at Tension Relief Sewing is very knowledgeable and helpful. With a little bit of help he picked the perfect machine for my wife and it was still in my budget. My wife ended up with a Babylock for her birthday and she loves it. We will continue to be loyal Tension Relief Sewing customers. Thank you again for making this a painless process!